Trois Petits Adieux (dur. 7mins) were composed in 2001 as a parting gift for a talented pupil. 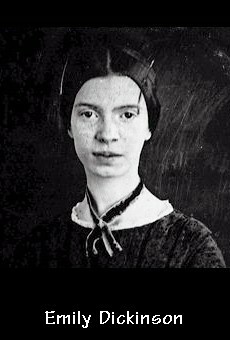 Written somewhat in the tradition of Nineteenth Century pieces For the Young, approachable yet not patronising, each was inspired by a poem of the American visionary Emily Dickinson. The first is a song, the second playfully capricious, and the third paints a bleaker landscape with delicate ghostly echoes'. Split The Lark... (dur. 7mins) shares the same starting point, and was written concurrently with the shorter pieces above. It is dedicated to a good friend, Michael Bell. The Dickinson poem speaks of how once the "shell'" is cracked the musical essence concealed within is discovered and comes flooding out, as indeed did this music, composed after a 12 year silence. There are two sections: it begins in arabesque-like mood, lilting and melancholy, with an insistant tonic-subdominant harmonic movement. However, this is within a rhythmic world of constantly changing, subtle irregularities. A declamatory climax is reached, followed by a brief recapitulation. The piece concludes with a shorter postlude, gently 'pulsing', and using some of the earlier material, but unravelling all the while, as if the dream goes wrong - finally, the "discovered" music fades. Still (dur. 6mins) is a barcarolle like miniature, written in 2002 as one of a pair. The piece was inspired by a funeral procession of gondolas witnessed in Venice, with (Berlioz-like) "the beloved" carried away on a sea of silent rocking. There is an "imposed stillness", a sultry harmonic world, which barely contains the tumult hidden beneath the surface. Just once this breaks out before the repressive control is one again seemingly gained. The Little White Girl dur. 4½mins)is the foil to the above and written in 2002 as a response to a poem by Swinburne called Before The Mirror'. He in turn had appended this to a painting by Whistler, The Little White Girl II, depicting the (perhaps not so young) girl questioning her rather more mature reflection. This counterpoise of the innocent and the half-knowing is reflected in two types of music in this short piece. The first unsettled, sometimes passionately so, contrasting with delicate sections, with characteristic use of quintuplets. Towards the end "the heart" is allowed to dance for a brief moment before the simplicity returns.